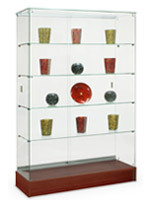 These store display cabinets enhance the look of your displayed items. 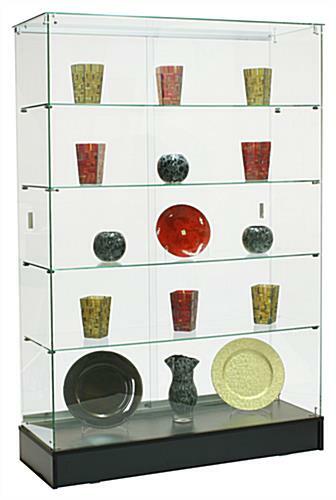 Built from tempered glass with a black melamine base, these display cases are durable for use in various retail settings. 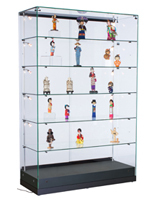 Store display cabinets, such as curio showcases and display cases are made with a frameless design to offer customers a full view of the items displayed in the case. 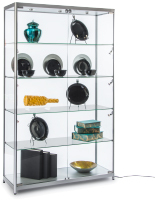 Finely crafted with a modern and sophisticated design, these store display cabinets provide a contemporary means of showcasing your merchandise or collectibles. 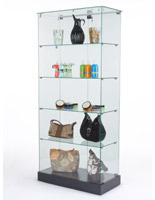 Display your merchandise with the confidence that your products are secure with these display cases. The delivery was a nightmare! 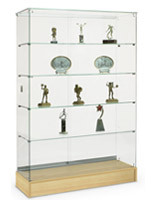 The item was delivered to the school's football field instead of the library and the hardware was missing! It took almost a full week to get all of the packages delivered to the right place after the first package was delivered. After finally getting all of the pieces delivered and sent to the right place, the building could begin! The two pages of instructions were incredibly vague and not very helpful, even with the pictures below. The lettered pictures weren't referenced in the instructions, and a lot was left to guess how to assemble. It's a good thing I'm proficient at assembling IKEA furniture because these instructions were so much worse! 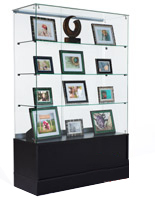 Now that the display case is built, it looks fantastic!! 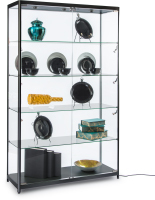 While the cabinet looks nice, I'm not so sure its up to the task its meant to perform. The shelves are too long to survive without more support. We will be having something made in order to provide more proper support. 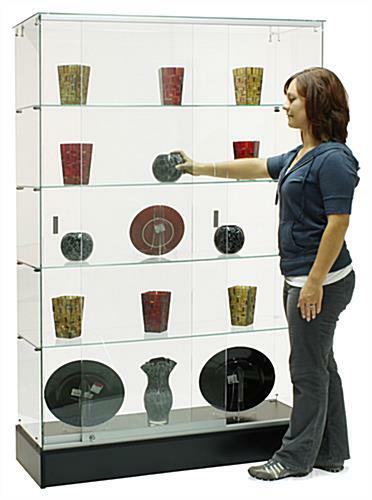 We own an art gallery and even just one medium sized glass bowl caused the center of the shelf to bow under the pressure. The design of the piece needed more consideration.